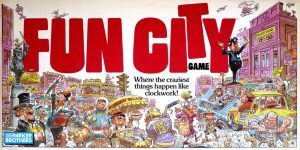 Fun City is a board game that was made by Parker Brothers in the 1980s but remains popular with fans today. 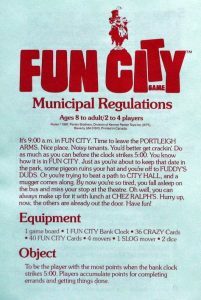 You can download the first page of the rules here. You can buy the game at Amazon, Ebay, and other places online.